Le Tholonet: In the most beautiful sector of Aix en Provence. An exceptional property offering 350m2 plus a guest apartment of 41m2 on magnificently landscaped grounds of 5000m2. This well appointed home offers a spacious lounge with fireplace, a dining room, 6 bedrooms, 5 bathrooms, an office, a home cinema, gym. 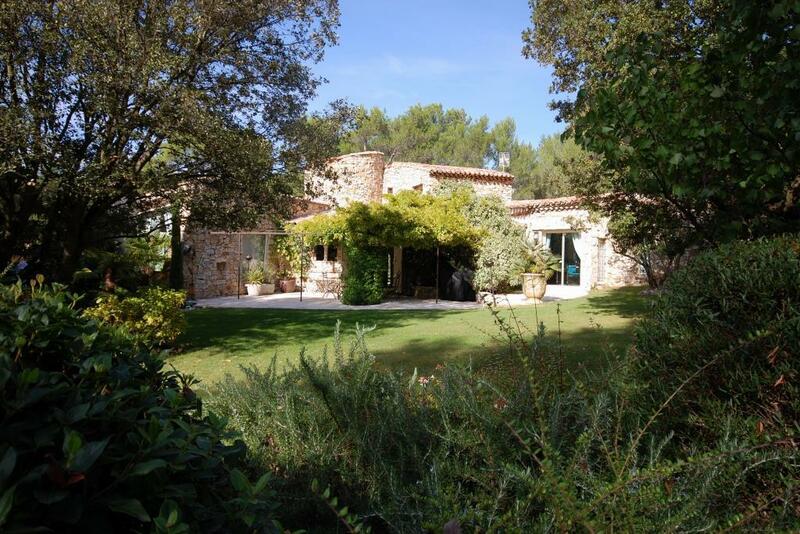 There is a gorgeous heated pool of 11×5.5m with a pool house, plus several outbuildings. Special Features: Alarm, Fireplace, Double glazing, reversible air conditioning, residential district, Pool, Electric gates, Electric shutters, Intercom. Contact us for more details.